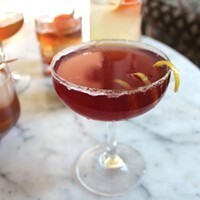 Made with a blend of fruit, spices, vinegar, and sweetener, shrubs are tart syrups that have been part of the classic American cocktail lexicon since Colonial times. Before globalization made fruit available year round, these drinking vinegars were a common method of preserving the flavors of summer. 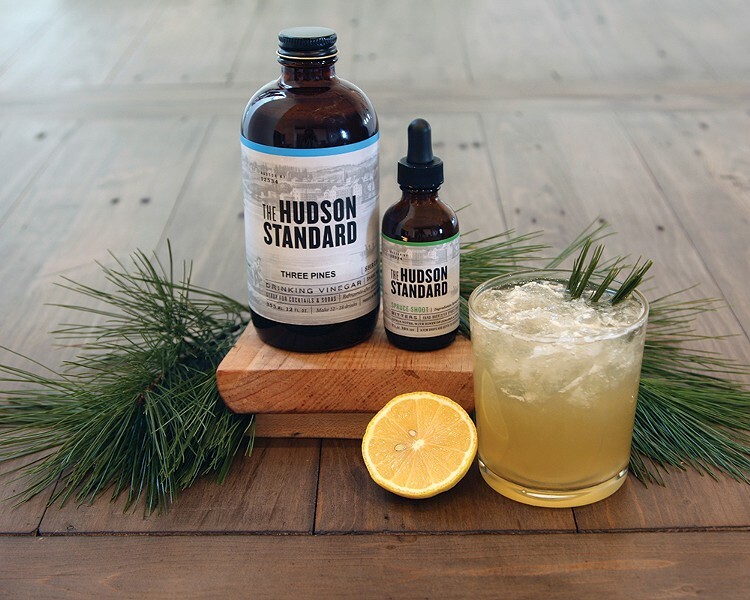 The Hudson Standard works with produce from area farmers, herbs from the kitchen garden, and foraged wild ingredients to create products that reflect the flavor, bounty, and seasonality of the Hudson Valley in mixers that are classically inspired and regionally relevant. Take the Spruce Shoot Bitters, their northeastern spin on a bartender’s classic: citrus bitters. “Since there is no citrus in the area, we thought it would be a great idea to harvest young spruce tips, when they are highest in Vitamin C,” Woerthman says. 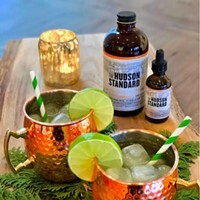 With a classic line of five shrubs and four bitters, and a host of rotating seasonal flavors, The Hudson Standard has something for everyone. The complex balance of sweet and tart also pairs well with club soda for a sophisticated mocktail. 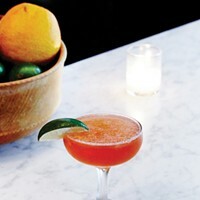 “The Evergreen is a bright cocktail with a perky citrus notes and deep, woodsy aromatics,” Worthman says. Three Pines Shrub that forms the base of this drink is brewed with with Balsam Fir, Red Spruce, and White Pine foraged high in the Catskills. These coniferous clippings are then infused in organic apple cider vinegar and combined with local honey to create the earthy, zesty Three Pines Shrub. Combine vodka, Three Pines Shrub, Spruce Shoot Bitters, and lemon juice in an ice-filled shaker. Shake well and pour into an ice-filled rocks glass. Top with seltzer and stir with rosemary sprig.